Consigned to the junk yard? 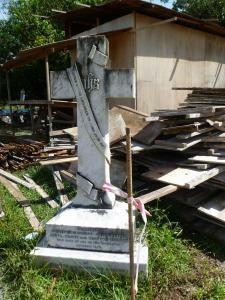 Shocking disrespect towards one of Sarawak’s most treasured historical figures has come to light, with this image of a Rajah Brooke memorial cross, plucked from its position outside the Governor’s Mansion in Kuching and dumped in a junk heap. 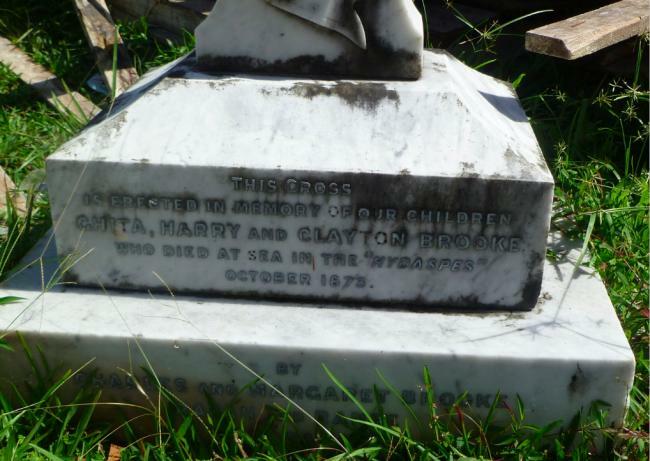 The white marble cross had stood in front of the Astana, as a memorial to three Brooke children, who were lost at sea. It provided a poignant Christian symbol, with the famous phrase “suffer little children to come unto me” wrapped round its simple stem. But, now as these exclusive photographs reveal, it has been unceremoniously ripped from its position and dumped lopsidedly alongside discarded junk, as an enormous building renovation gets underway. 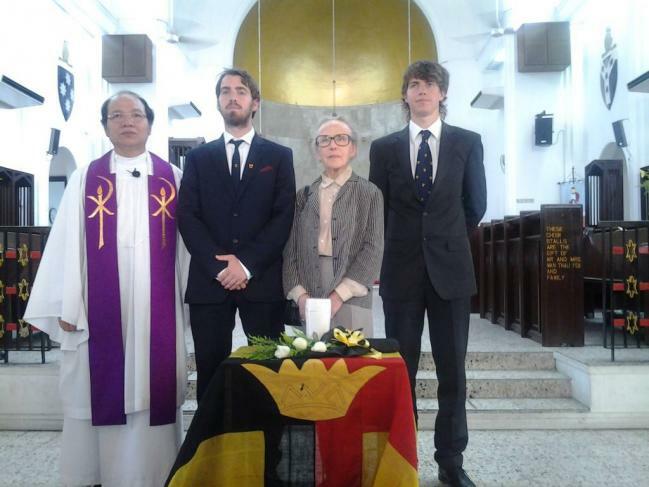 At a time when extremist groups have started loudly targeting Christians and other faiths in Malaysia, this careless attitude towards a religious and historical symbol in Sarawak is particularly disquieting. The militant Islamist ‘NGO’ Perkasa, has just announced it plans to open a branch of its agitator organisation in the state. Imagine the fury of its members if such a desecration had been meted out on a symbol that was held dear to Muslims instead? Chief Minister Taib Mahmud, who has relentlessly promoted his own minority Muslim faith at the expense of the majority Christians in Sarawak during 30 years of government, has nevertheless insisted that he can be trusted to protect their religious rights. 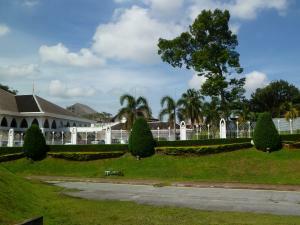 If so, he needs to intervene to rectify this act of neglect in the grounds of the Governor’s own mansion in Kuching. This issue throws light on another significant matter that has so far received little attention, even though it concerns the development of one of Kuching’s most iconic historical buildings at evidently large public expense. What on earth is going on down at the Astana? Onlookers have been increasingly amazed at the sheer scale of the “renovation works” that have been taking place in the heart of the capital, on the once green banks opposite the town centre. The gracious, low-level, colonial-style mansion was built by the second Rajah and is a nostalgic piece of period architecture. It has already been recently over-shadowed by the high-rise, gold roofed “hat” that forms the new DUN Assembly, built of course by the Chief Minister’s family company CMS. But, now it appears that it is about to be dwarfed and destroyed by what the signage describes as a new “administrative wing”, which looks to be far larger than the original palace itself. 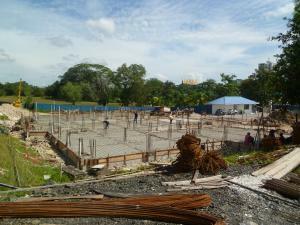 Inevitably, it seems, the new wing will also contain a Surau, a mini-mosque. 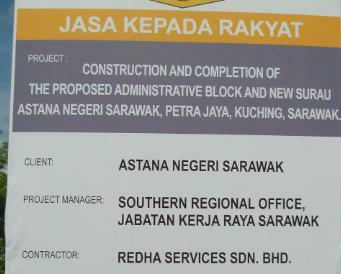 New Administrative Block and Mosque? The insensitivity of this destruction of a historic building comes hard on the heels of the recent 50th Anniversay celebration of Sarawak’s Independence – or at least its union with Malaysia. On this occasion the State Government seemed willing enough to take the highly popular step of inviting the descendants of the Raja Brooke family to join the consecration of the ashes of the last Rajah Mudah of Sarawak, Anthony Brooke, who wished to be laid to rest in the state. Many might consider it to be with unseemly haste that the old mansion of the Rajahs is now being torn apart, the Christian cross plucked from its position and replaced with a mosque. Taib Mahmud has every right to his faith, but should he not show more respect to the majority religion of the people of the state? So who is moving into the Astana? Traditional style – the current Astana building sums up Kuching’s unique historic heritage. Which brings us to the nub of this issue. 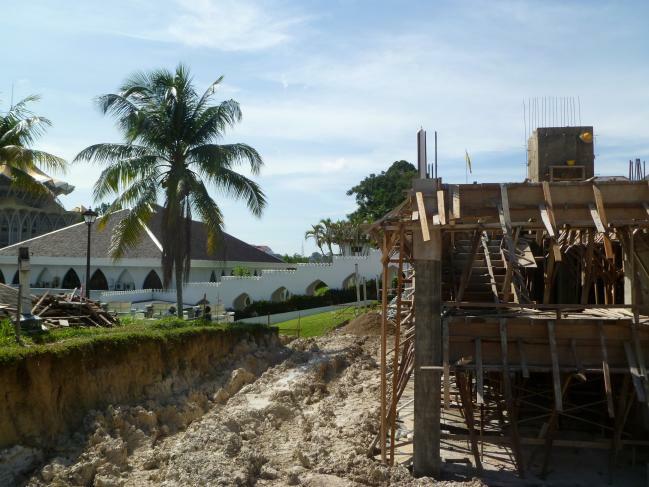 The speculation on everybody’s tongues is that the reason for all this building frenzy is that the elderly Chief Minister is finally making his move – a move that he plans will take him into the Governor’s Palace! After all, this would explain the administrative wing, because Taib Mahmud would certainly expect to continue to rule the country, even if he stepped aside into the Governor’s role. It would also explain the mosque. The speculation is backed up by the news buzzing round Kuching that various Taib cronies have been busy in Europe, ordering the bespoke guilt furniture, which the elderly Chief Minister is well-known to favour over traditional local products. After all, the current Governor is in his 90s, two decades older than Taib and Taib has been under intense pressure to move. There is also the suggestion (untrue) that has long been circulated that by moving into the role of Governor, Taib would somehow become immune from all laws of prosecution. Perhaps he has done a deal with Najib? Could it have finally have been agreed that if Taib takes his increasingly discredited personage out of the position of Chief Minister, the Prime Minister will play lip-service to the fiction that Governors are immune to prosecution for crimes, including kleptocracy (vast theft of public monies)? 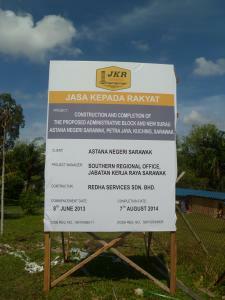 This way, UMNO/BN may be hoping that the people of Sarawak will continue to vote for a similar successor. This might well partly depend on what they do about the cross in the back yard dump at the Astana! 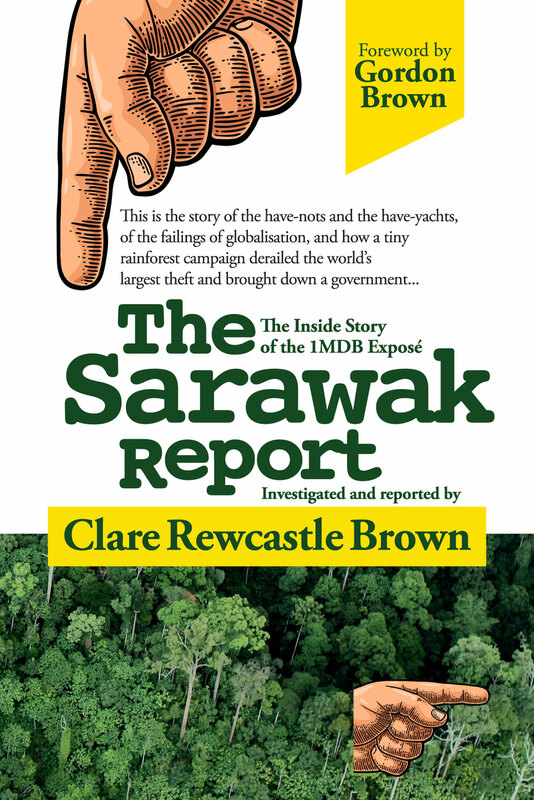 Your views are valuable to us, but Sarawak Report kindly requests that comments be deposited in suitable language and do not support racism or violence or we will be forced to withdraw them from the site.